HOW WRESTLING HELPED ‘THE ROCK’ TO SING? Walt Disney Animation Studios’ new feature film Moana is about an adventurous teenager who, with the help from demigod Maui, sails out on a daring mission to prove herself a master wayfinder and save her people. 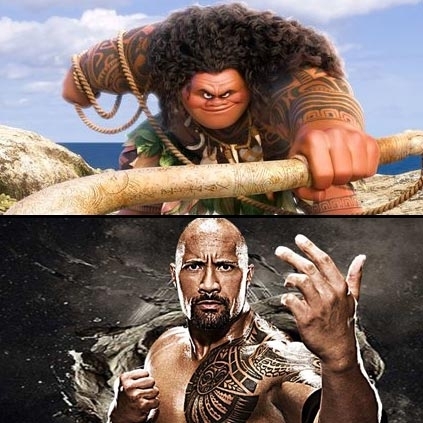 Hollywood’s highest paid Dwayne ‘The Rock’ Johnson is back, and this time in a never-before-seen avatar as the uproarious tattooed demi-God Maui in the film Moana. The actor returns in a voice-role alongside newcomer Auli'i Cravalho in the film. He has also sung a song called Demigod Maui. This is not his first attempt at singing as he has sung before in wrestling ring. The director of Moana says that The Rock’s wrestling songs were helpful to prepare him to sing for Moana. The film is all set to sail into Indian theatres on the 2nd of December, 2016. People looking for online information on Dwayne Johnson, The Rock will find this news story useful.